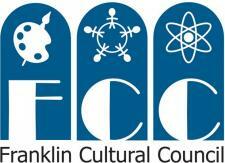 Franklin Downtown Partnership: Deadline TODAY!! Harvest Festival Registration Deadline is September 1. Click on the following link to download and print a Harvest Festival Registration Form. Everyone must fill out a registration form in order to participate, even if you are a downtown business and FDP member. If registration is postmarked after September 1, please include a $35 late fee to reserve your space. NO exceptions. No registrations will be accepted after September 5.